When it came time to review Triode Lab’s 2A3M-II monoblocks, I had already had a pair of the prototypes for the 2A3M monoblocks in my possession. As such, I had a well-honed sense of what the 2A3 tube could do in the hands of Frank Ng, chief designer and owner of Triode Lab and Finale Audio. Needless to say, when I received the 2A3M-II monoblocks in a bright orange, I was salivating over the beauty of the exquisite paint job on the chassis, as well as the potential for added texture and refinement in the sound from the addition of a second 2A3 tube to the mix. It was that second 2A3 tube on each chassis that made me begin thinking about twins. I was reminded of the story of Castor and Pollux, twin brothers in Greek mythology. Pollux was immortal, while Castor was mortal and the brothers shared a special bond, so when Castor died, Pollux asked Zeus to exchange his immortality for reunion with his brother. Zeus granted this wish and the brothers were whisked into the heavens and transformed into the Gemini constellation. The twin 2A3 tubes on the Triode Lab 2A3M-II monoblocks became the Gemini constellation in the dark nights of audio listening afforded me during their tenure at my home. Like a sailor on the ocean at night, the twin 2A3 tubes gave me constant companionship and extraordinary sound. The bright orange monoblocks have a beautifully finished metal chassis studded with silver screws holding everything in place. 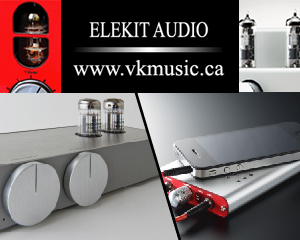 Each monoblock has a complement of a single 12AX7 tube, two 2A3 tubes, and a single 5U4 tube. This collection of tubes, with small variations, is a unifying feature throughout the 2A3 monoblocks offered by Triode Lab. Each 2A3M-II monoblock also sports Triode Lab-designed James output transformers, Triode Lab-designed James power transformers, James choke transformers, a quad of Mundorf silver in oil caps, and CMC gold RCAs. Discussions about the sound of particular tubes are complex, especially so when conducted online. Everybody has a preference for what sounds best and I encourage people to actually listen to a tube before deciding how they feel about it. Personally, I love the 2A3 sound because of what it does in the crucial mid-range. Voices sound so lifelike when singing, while acoustic instruments like guitar, piano, saxophone, trumpet, drums, cello, violin, and so many others have an amazing resonance across the field of sound. While no slouch in bass, the 2A3 does not offer the often (in my opinion) slightly forward and emphasized bass that some prefer from more beefy power tubes used in many push-pull configurations. I like my bass well defined and articulate without being boomy, and the 2A3 is aces at this kind of bass. So where does this leave the sound of the Triode Lab 2A3M-II monoblocks? Remember to check out Noam’s review of Triode Lab’s 2A3PSE amp (similar tube configuration, but with different iron). Well, at 8 watts per channel in a parallel single-ended configuration, these monoblocks have far more power than your ordinary 2A3 single-ended amp (~3.5 watts). This additional power has several cascading effects across the soundstage. First, there is a solidification of the mid- and lower bass range that results in increased oomph on those tracks that require such power. Because the 2A3M-II runs the power tubes in parallel, there is a clarifying and crystallization of the mid-range that is difficult to describe. Second, without falling into strange areas of esoteric description, I would simply say there is more to the soundstage; more air, more transients, more definition, more decay, more resonation, and, more clarity. Third, and most importantly, the addition of the second 2A3 tube adds more musicality. I have to admit, though, that I wondered whether the addition of a second 2A3 tube would make the amp noisier. To their absolutely dark silent like a night in the deep forest realization, I could only smile and discover just where the Gemini twins were taking me musically. But with what, you may ask, is this more that these amps offer to be compared? It’s a good question. For me, it is more in relation to my experiences with the 2A3M prototypes that I bought from Frank Ng some time ago. These prototypes defined a new level of listening fidelity for me. They created a brilliant soundstage that was wide and deep beyond anything I had heard previously. They were musical beyond compare and they simply made my speakers sing. The 2A3M-II monoblocks offer such depth of resolution and beautiful recreation of musical sources that they are in a class by themselves. I don’t know all the exact technical details with which Frank Ng builds his equipment, but I do know their ability to generate a crystalline clear soundstage that is holographic, while remaining lifelike, creates chills on my spine frequently. This phenomenon is extraordinary to experience when it occurs as a result of stereophonic reproduction. I hope that you have had a similar experience so that you can place yourself in the seat in my room when it occurs and imagine what it is like to listen to these amps. I listened to the 2A3M-II monoblocks on two sets of very different speakers: Tyler Acoustic PD-15s and Finale Audio’s Vivace Minis (which I previously reviewed for WoS). The monoblocks’ output transformers have dual speaker taps: the 8 and 16-ohm speaker connections allowed me to match impedance on the speakers I was listening to during the evaluation period. And to cut to the chase, my evaluation of these amps was, simply put, that they are excellent examples of fine engineering, audiophile sound reproduction, and enormous value for money. I have not really heard better amplification in my home system. They have become my audio nirvana and hold a revered stature in my estimation of what good sound sounds like. With the Vivace Minis, the 2A3M-II monoblocks were sensibly refined and beautiful, while creating effortless recreations of my favourite music time and time again. With the Tyler PD-15s, the monoblocks could be refined, but were also able to grind out the bottom end of anything I threw at them. They maintained the austerity of tone, pitch, and awesome control when needed, but were able to handle all of the music I played from jazz trios to orchestral symphonies, from rock ‘n roll to bluegrass, and from folk to electronica. With both sets of speakers, however, the amps were remarkably honest with the music; if it was recorded poorly, you could tell even though the amps retained a baseline musicality throughout. On Bill Evans’ Conversations with Myself, I was transfixed by how the Triode Lab 2A3M-II monoblocks were able to retain all the complexity of Evans’ three piano lines on my favourite track “N.Y.C.’s No Lark.” Evans’ recording was transgressive for the times (1963 jazz musicians did not dub tracks) because he overdubbed three separate piano lines (effectively right, left, and centre), improvising on each track in conversation with himself. The album requires serious concentration, but with the right equipment, it can sing in extraordinarily complex modes of musical expression. With the wrong equipment, it just sounds cluttered and noisy. “N.Y.C.’s No Lark” is a particularly mournful track (it is a requiem for and anagram of Sonny Clark, who had recently overdosed on heroin) and the 2A3M-II monoblocks by Triode Lab conveyed the full range of emotion in a deeply moving manner. I found myself at the edge of my listening seat enveloped in the atmosphere that Evans had created in conversation with himself at the piano. The layers of the music washed over me in the night as though I was a sailor watching the Gemini constellation as I lay on the deck of my boat. Cassandra Wilson’s New Moon Daughter is a wonderfully well-recorded LP that warrants listening. I found myself returning to her version of “Harvest Moon” by Neil Young for how the 2A3M-II recreated the bowed bass that reverberates throughout, as well as the layers of instrumentation that float into the soundstage, all while portraying the depth and beauty of Wilson’s voice. This song begins and ends with a recording of crickets, and there is a wonderful summer nighttime quality (think lying in a field watching the Gemini constellation) to the sound that is needed during these darker months of winter. Wilson is known for having top-notch musicians and this recording is evidence, even this early in her career, of her ability to guide a group of extraordinary musicians towards a holistic recreation of a timeless song that makes it anew. So, how do I feel about the Triode Lab 2A3M-II monoblocks? Honestly, I think they are extraordinary. They offer fidelity to source; incredible depth, breadth, and height in soundstage; holographic reproduction of sound; clarity in tone and pitch; enough power to handle speakers that almost any other 2A3 tube amp could not; bass, mid-range, and treble to die for; and beauty and elegance in design. What more can you ask for, really? I think that Frank Ng and the people at Triode Lab have accomplished an astonishingly complex and transcendentally beautiful thing through twinning the 2A3 tubes in their monoblocks. These amplifiers are the closest things to immortal sound that I have heard and they deserve to be whisked into the heavens as an audio classic. Have you listened to the Triode Lab amplifiers with the 45 power tubes? If yes, what power tube you like the most (2A3 vs 45) and why?